The 3/8 in. Drive 6 in. Extension Bar offers a 6 in. extension for ratchets and sockets. is made ofalloy steel for strength and long-lasting use. The finish provides resistance to corrosion. The extension bar features a chamfered lead-in on its drive end for easy attachment to your drive tool. Lift heavy loads when you have construction projects needing leverage with the help of the Garant Pro Series professional pinch point crowbar. This 60 inch (152.4 cm), 18 lb tool is made of excellent quality forged and tempered steel for increased strength and rigidity. It has a beveled head with 1 1/8 inch (2.9 cm) blade. Its flat surface allows for better control and insures an efficient energy transfer. This industrial-grade crowbar is especially designed for professionals looking for a robust, reliable and efficient tool to complete demanding jobs. 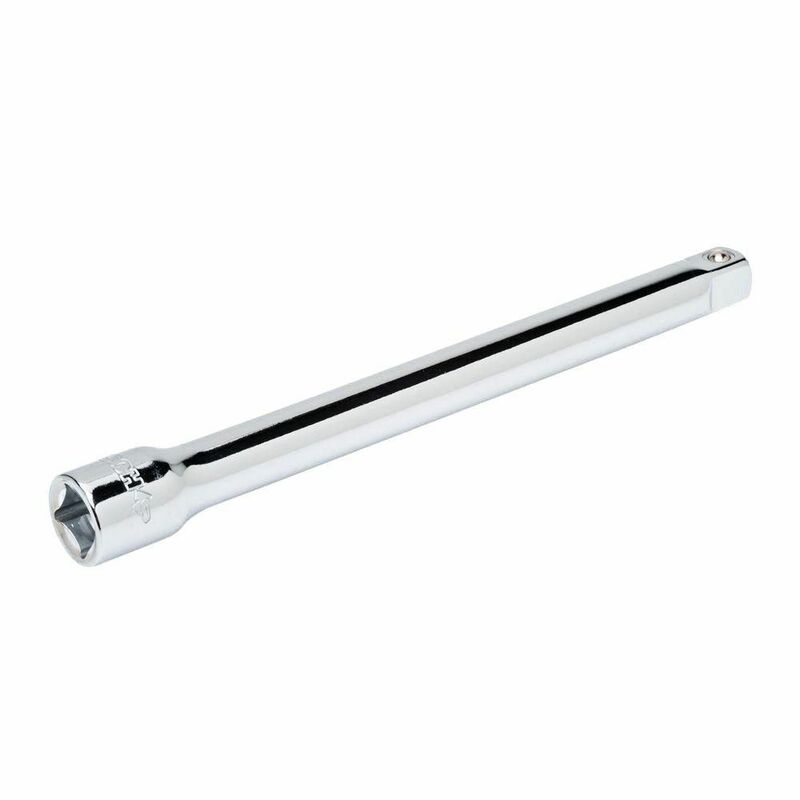 Extension Bar 3/8 Inch D 6 Inch The 3/8 in. Drive 6 in. Extension Bar offers a 6 in. extension for ratchets and sockets. is made ofalloy steel for strength and long-lasting use. The finish provides resistance to corrosion. The extension bar features a chamfered lead-in on its drive end for easy attachment to your drive tool.